Free Shipping Included! 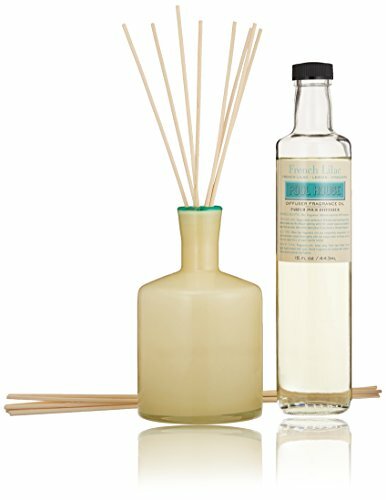 LAFCO House & Home Diffuser, Pool House French Lilac, 15 Fl Oz by LAFCO at Lonkoom Perfume. MPN: HD21. Hurry! Limited time offer. Offer valid only while supplies last. Our hand blown glass diffusers filled with natural essential oil based fragrances, unite home fragrance with art to create the perfect ambiance. Our hand blown glass diffusers filled with natural essential oil based fragrances, unite home fragrance with art to create the perfect ambiance. FRAGRANCE: Luxuriously floral; a full bodied blend of lilac with touches of rose petal and jasmine. If you have any questions about this product by LAFCO, contact us by completing and submitting the form below. If you are looking for a specif part number, please include it with your message.